In today’s highly competitive healthcare industry, businesses are looking for the best possible healthcare partner and sometimes this can be a difficult and costly challenge. Healthcare costs have been drastically rising and Houston-based clients are looking for a cheaper solution to their needs. 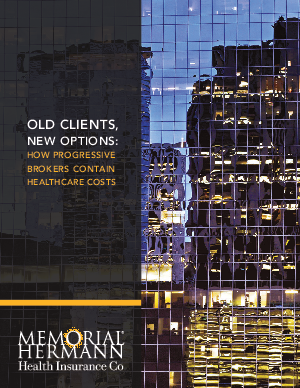 Download this whitepaper to find out how Memorial Hermann can help you lower costs and reduce risk while offering the same or more health benefits.